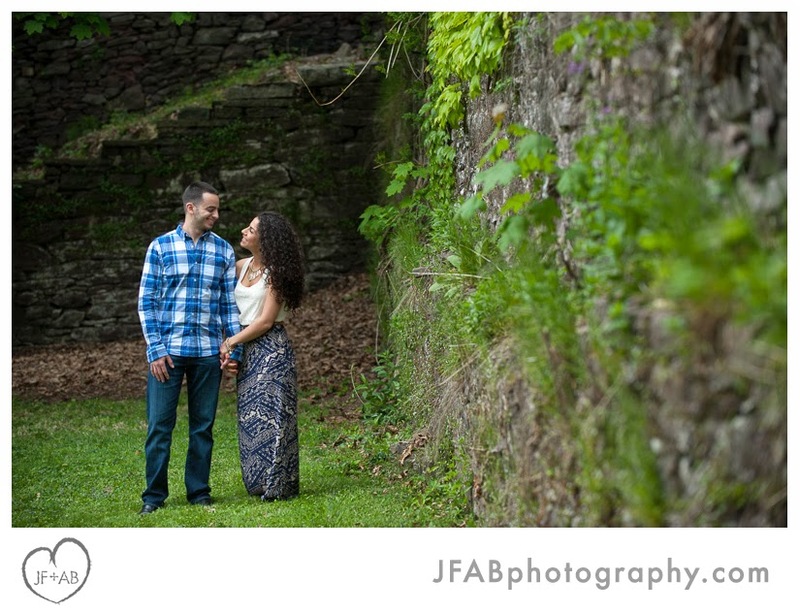 JF + AB Photography Blog: Cheyenne and Steven | Engaged! 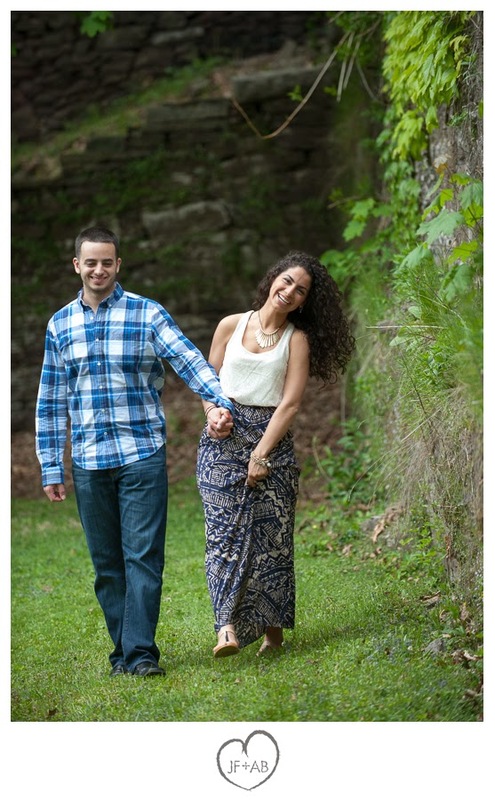 Cheyenne and Steven | Engaged! It's been more than five years in the making, but less than a month to go until these two tie the knot! 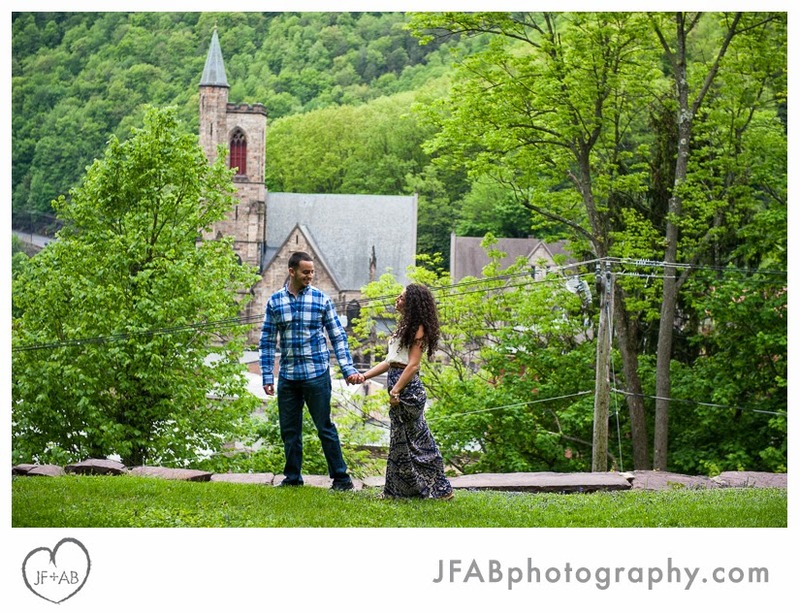 Cheyenne and Steven met me (Amber) in Jim Thorpe for their engagement session this spring. 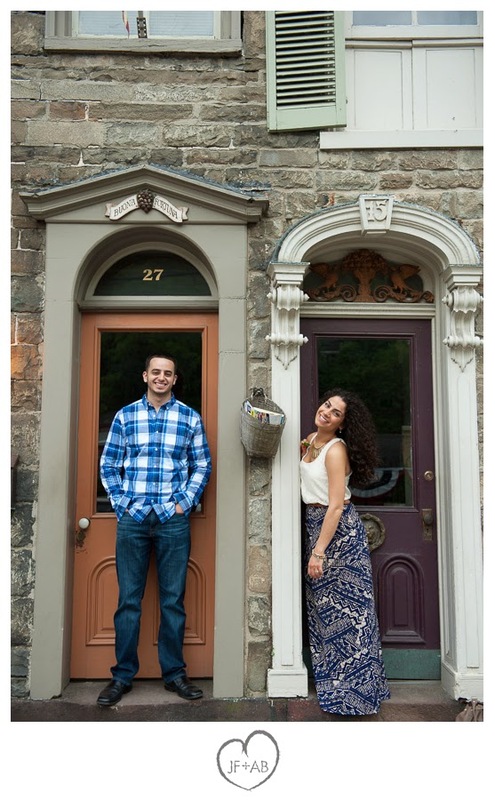 We had a great time shooting in some of my favorite spots around town while we got to know each other better. No black and whites in this set. I loved the colors, especially the purple flowers in the headline photo. 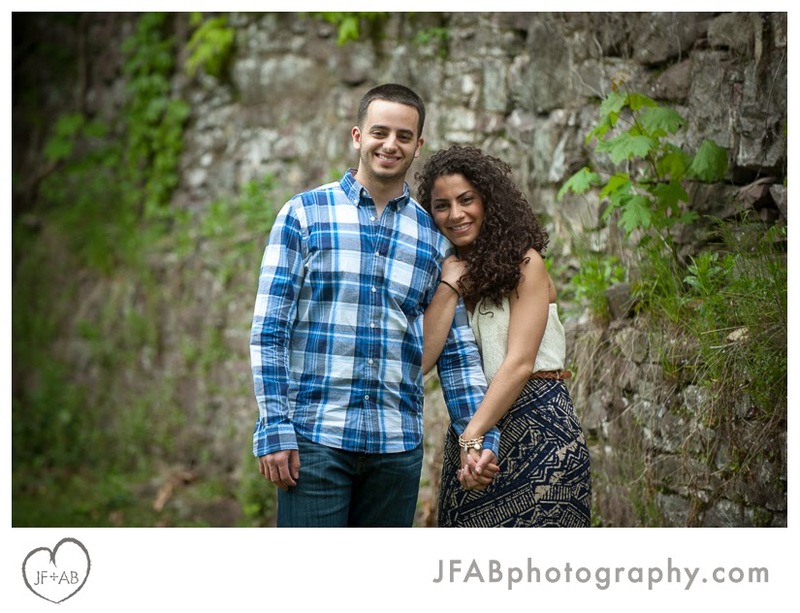 I am looking forward to making more beautiful photos at their wedding in the Lehigh Valley next month!